Alfresco dining during hot summer weekends. Cinnamon Culture is a fine Indian dining restaurant recommended by both the Michelin and Hardens guides. It is the perfect setting in which to sample contemporary Indian cookery. 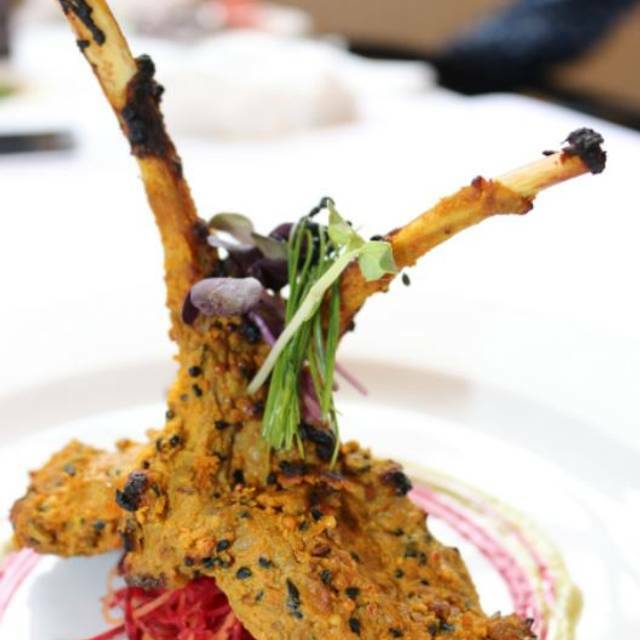 Here you’ll taste tantalising homemade chutneys, delve into stunning starters and enjoy the kitchen’s breathtakingly creative plated main dishes, created with one eye on the traditional and another very much on current and up and coming trends. Unusually for an Indian restaurant, Cinnamon Culture places much of its focus on its dessert menu, allowing for further inventiveness in twisting together Eastern and Western ideas. Cinnamon Culture’s décor makes the most of high ceilings and skylights with modern flock wallpaper, fishhook chandeliers and tasteful photography of Raj artefacts. A chrome and cream bar with its high stools and array of fabulous cocktails extends your evening beyond simply dining while the large garden is the setting for summer barbeques with an Indian flavour. We've dined here several times and Cinnamon Culture never disappoints. They are family friendly with fantastic service, decent prices, but most importantly always serve great food and are happy to customise the dishes on offer for a fussy student who recently went vegan AND gluten-free. If you love trying new cocktails, I would recommend their Indian spice-based range, especially the signature 'Cinnamon Culture' with bourbon and cinnamon - delicious! I am Indian and very picky about Indian restaurants I dine at because I'm looking for the authentic taste and flavours, not some bland supermarket-style, anglicized Indian food. I'm happy to say that Cinnamon Culture delivered on all fronts. Baingan rings with Chettinad sauce was one of the best dishes I had in a long time. Smoky, full of flavour aubergines and delicious, richly textured sauce with split peas, (freshly!) grated coconut and mustard seeds. The layers of tastes were simply unbelievable and the sauce - usually blended to a pulp elsewhere - had distinguishable ingredients and oh so much texture. My husband had Keralan style buffalo with fresh green peppercorns and he raved about the style of cooking where the ingredients were actually still part of presentation and not over-cooked to an unrecognizable oblivion. For me this is a proof of freshness and having been served a great quality produce. Service was prompt yet relaxed, friendly and chatty. Despite visiting a fine dining restaurant, we felt relaxed, warmly welcomed, with not a shred of stiffness, self-importance or grandeur one may experience in Central London. We loved it and definitely will be back. Our night out was a treat for my lady for the Int Womens Day and it didn't disappoint. From warm welcome, drinks at the lounge to three course feast - they ticked all the boxes. the flavours were awesome, portions generous, service spot on. Excellent night out and good value for money in our humble Bromley backyard. Will be returning as booked for Mothers Day specials already. It was my friends birthday treat. No treats were offered to her though!! Had a pick of two Indian restaurants and randomly chose this one. Glad we did. Food was wonderful and overall experience lovely. Next time I’m in London it would be on my list to go to again. This restaurant is our local go-to for an Indian meal. The friendly atmosphere and exquisite, inventive cuisine keeps us coming back again and again. Despite busy setting on our last visit, the service was as courteous and attentive as always. We were even treated to the off-the-menu fresh brandy truffles made by one of the chefs earlier, which was a lovely gesture. We'll be back! My partner and I arrived and was greeted with a smile which is always a great start when visiting somewhere new. But the salad was brought promptly and all was well. All in all we had a nice time on our first visit as the restaurant is nicely decorated and spacious with a lovely outside area if you wish to dine outside too... and for a Indian restaurant this is rare and unique. Another delightful visit. At first we enjoyed a couple of drinks in the garden, but with the temperature still high despite the late hour, we moved inside to the pleasantly air-conditioned, cool interior. The food was absolutely sensational - every dish was an explosion of flavour and beautifully presented. The chaat salad has to be the best I ever tried and the lamb chops were tender and well-spiced. And don't get me started on the lovely rich flavour of the wild prawns - to die for! The staff could not have been more helpful, kind, attentive and always with a smile on their face. Nothing was too much trouble. What is so great about this place is that it is not pretentious, but rather very relaxed and yet it has a special atmosphere. I would definitely recommend and go back. Thank you! Very nice food and welcoming although a bit cold atmosphere. In a word superb! All five off us were very impressed by the standard and finesse of the food, it's presentation and the general ambience. If you want to impress someone important, who is at all interested in fine Indian dining, this is the place to go! Even the music was well chosen, interesting, without being too intrusive. Good taste exemplified! A meet up with friends was the occasion and Cinnamon Culture didn't disappoint. The service was perhaps a little patchy, probably more through inexperience than anything but the staff were keen to please. Food was very good but a little on the pricey side. However, you will eat something completely different to a standard Indian restaurant here. As it was a Tuesday night not many people there but wonderful food. All good apart from being charged £7 for 5 poppadoms. This restaurant is a delightful find, if you are looking for serene ambience, tasty food and excellent service. 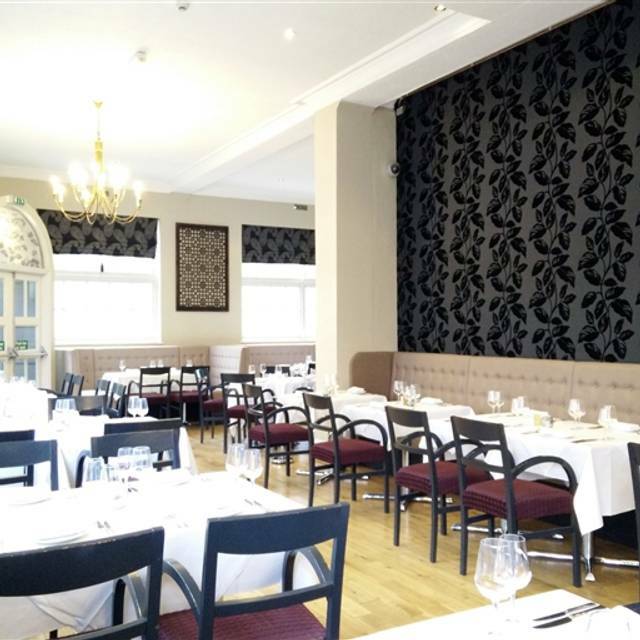 Although a little pricier than average Indian neighbourhood restaurant, it is in line with dining at modern eateries serving European cuisines and well worth the experience, especially for special occasions. In the calm environment, one is able to converse without having to shout across the table. The starters only sharpened our appetites - beautifully spiced chickpea chaat was outstanding and lamb chops deliciously juicy. My partner recommended the wild Madagascar prawns and they were tender and flavourful. We had our pick from a very good wine list and it didn't disappoint. Overall a beautiful night out and we will be back. My partner and I couldn’t have been happier if we tried. From the moment we walked in to the restaurant to the moment we left we felt welcomed and well taken care of. The food was to die for right from the first bite on poppadoms dipped in mouthwatering garlic pickle to the last bite of delicious coconut brulee we had for dessert. Wild African prawns were a pretty huge (!) delight! Staff's knowledge, helpfulness and sincerity made our experience that extra bit special. My partner has a number of food allergies and our servers ensured that everything she ate was aligned to her requirements without making it seem like we were making a fuss. Manpreet knew an extensive amount about the wine and assisted us to choose one that matched our food perfectly. Ruby was very attentive and made sure we were comfortable at all times during our meals. Amazing food and even better service really make this one of the best restaurants not only in Bromley, but London. We would not hesitate to recommend it to anyone. I heard great things and wasn't disappointed. The food is delicious AND beautiful, but without unnecessary pretence. The restaurant was buzzing with some lovely people and yet we felt cosy in our little corner opposite the bar. The service was absolutely faultless - attentive, friendly, never obtrusive. The wine recommendation was great, it paired well with our meal. We will be back soon! Sadly not a great visit for a romantic valentines evening. Set menu was poor in choice and appeared to be made on a low budget for maximum profit. We had to chase up our first drink then to order. Our mains then come before the starters. The sweet was one choice being a to big chocolate tart with nuts on. The table next to us had a guy picking his nose and wiping it on the table cloth for much of the meal and the otherwise two ladies ordered and one asked for chicken tikka and got lamb korma, the other advised she had a nut allergy and was given the chicken tikka with almonds. They wasn’t advised it was a set menu upon booking. Sadly a crap night for two tables and four customers who won’t be returning. Shame it used to be so nice here. An authentic Indian menu but with excellent ingredients and some variations from the tradition that make a dinner here a great experience. Exceptional service. Amazing food in the middle of Bromley. It's my second visit and I like it even more. 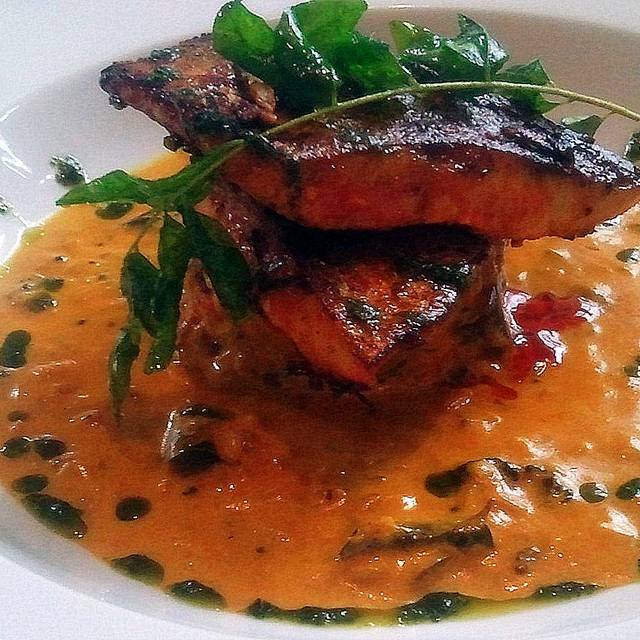 If you have trouble choosing from the menu for the want of it all, try sea bass - mouthwatering and a must-have! The food was amazing. Traditional with a modern twist that really added to the food, not just a gimmick. The staff were friendly and helpful as well as efficient without rushing your meal. Overall it was a great meal. Cinnamon Culture has everything you want in a restaurant - fabulous food, original cocktails, excellent service, comfortable sofas and spacious tables, a beautifully designed space cushioning you from the outside world. I find it to be great value and count myself lucky to have it almost on my doorstep. Highly recommend it to everyone. This place is a gem. Some of the most innovative cuisine of its kind. The Madagascar prawns , lamb chops and mango sorbet in coconut ice cream are to die for. Butter chicken - such a staple at any Indian restaurant - is superb with delicate flavours of fenugreek on your palate with every mouthful. The service was excellent and they accommodated all our requests. We'll be back for sure. If you like good Indian food you'll love this place. Looks can be deceiving. We moved to Sundridge Park few months ago and walked past this place a few times unsure as to what to make of it. Could not imagine an Indian restaurant within an old Victorian pub. However, after seeing the Michelin Guide and other food guides endorsements on the main entrance door, we finally decided to give it a go for dinner one night and were pleasantly surprised how lovely, intimate and cosy the restaurant is inside. The food was tasty, inventive, well portioned and spiced, and the service was attentive and friendly, simply fantastic. I like the 'spicy' selection of cocktails, with cinnamon, cardamom, chilli or saffron - how very original. The place was abuzz with festive foodies clearly enjoying themselves in lead up to the New Year. It may well become my new favourite local restaurant in Bromley. My wife and I dined here last week. Everyone from the hostess, bartender and wait staff were friendly, polite, welcoming and made us feel at home. We sat in a cosy corner and enjoyed an excellent dinner and wine. I've never been disappointed here and always feel like family when we arrive and dine there. I highly recommend this restaurant to everyone. The food is magnificent (we had lamb shank and sea bass) and paired with the wine is excellent. Thanks for a great evening. 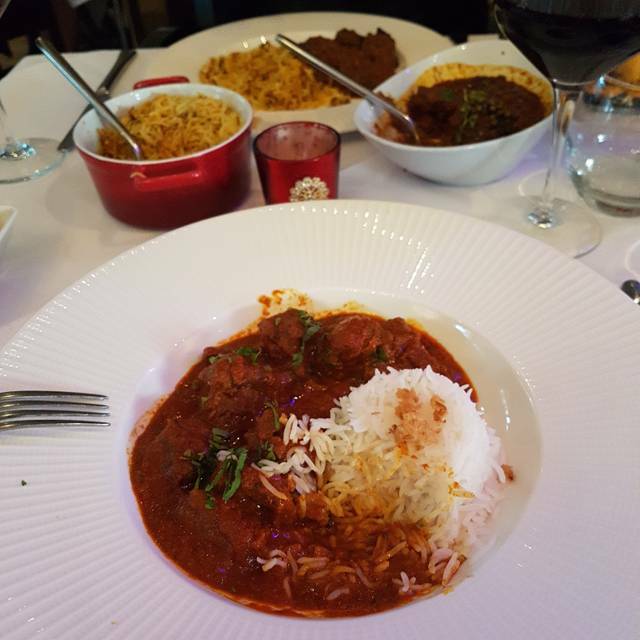 If you want high end Indian food, several levels above the standard Indian curry house, Cinnamon would be an excellent choice. The wild Madagascar prawns were a spectacular dish, and the cocktails were pretty special too. There's an interesting wine list and good selection of desserts. Very good service in stylish surroundings. Unusual and unique menu, delicious food, warm hospitality all contributed to the most satisfying dining experience. Reasonably priced and best of all local to us. Charming servers. I can't recommend it highly enough. My wife and I dined at Cinnamon Culture and were happy from the moment we entered. It was rather busy, yet we never felt rushed. Ruby, our server, helped guide us through the beautiful menu. Lamb shank was out of this world, tender lean meat beautifully spiced and Madagascar prawns were HUGE! The ambiance was relaxed and we will definitely be back! Fantastic service and a meal to remember - we've had tasting menu with wine pairings. The place was buzzing on early Tuesday evening, I'm guessing the Christmas parties are in full swing, however we were seated in a cosy corner next to beautifully lit up fire place - it felt cosy and intimate. The service was impeccable and very friendly, which made our evening. Actually, it was so good that we decided to come back for Christmas Day lunch. Thank you. Cinnamon Culture has become my favourite Indian restaurant, not only in Bromley but the whole London. As a student together with my friends we travelled India extensively and this restaurant's offering brings back memories of delicious authentic cuisine. I highly recommend the chef’s menu, which delights with flavors from all over the subcontinent. From the very first of many starters to the dessert, the courses are impeccably prepared and tastefully presented. Cocktails are a must. Service is always attentive and waiters friendly and polite. Love it! Delicious food and good wine. Great night out with a friend. Indian is my comfort food to go to, especially on a cold Autumn night. 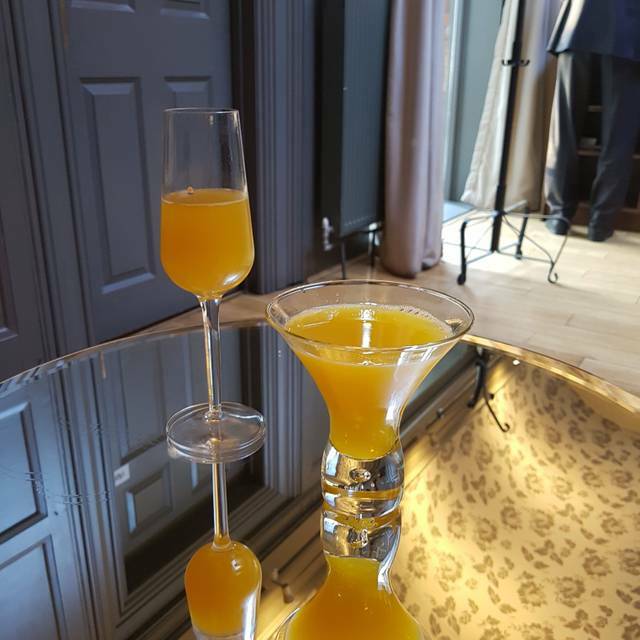 The cocktails were delicious, tempting with spicy ingredients. We had cinnamon martini and cardamom sidecar, followed by 2 more with saffron. Just the names of the cocktails were appetising. Lovely, beautiful food with spice levels balanced just right between heat and flavour. My soft shell crab was sensational and wild prawns huge and to die for, but then I'm a huge seafood fan. Throughout the night service was seamless, unobtrusive, friendly and polite. The place looked cosy and inviting with beautiful Christmas snowflakes and lights ready for the festive season. Can't believe I've been passing this place for years and never visited until now. It's a true gem and I recommend it to anybody looking for London-quality dining in the Bromley suburbs.